I've missed my usual Wednesday post this week due to a hectic schedule, but better late than never! This week it's all about baby. My mom decided to put together an impromptu baby shower for my sister this coming Sunday and I really wanted to get a few hand made items finished to gift to her. 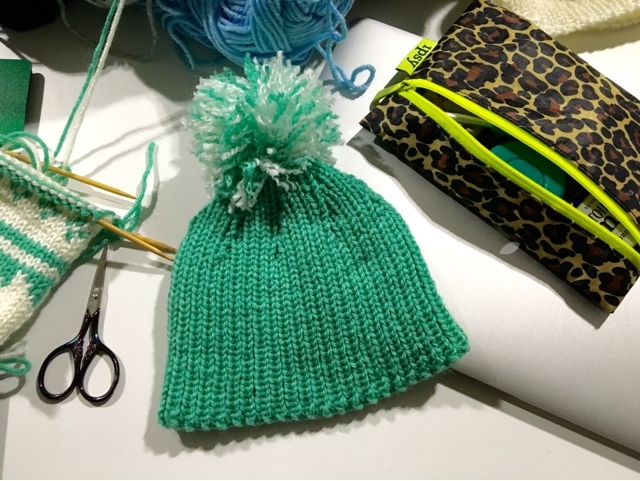 I figured hats are super fast for a baby so I busted out a cute little ribbed one with a pompom on top. Next I felt like doing something daring so I tried a little color work. I really had high hopes for this little heart but it just turned in to a blob. I then tried to embroider a gold outline around the blob to make it more heart-like and now it's just a fancy blob. After that attempt I tried my hand at some fair isle. It was perfect!!! Except for the size of the hat. 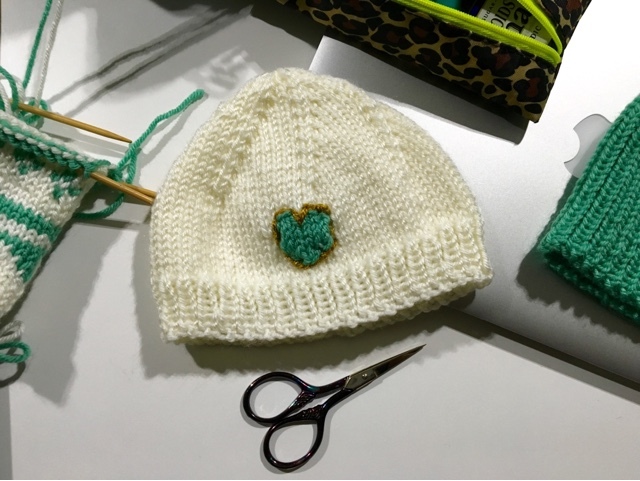 I thought the heart blob hat was perfect for a newborn but I wanted this one to be more for a 3 month old. I added way too many stitches to the cast on but I couldn't tell that it was so humongous until I was half way through. This is more for a 1-2 year old. I'm planning on ripping this one out and starting over. Plus the ribbing wasn't working out right either. But working this jumbo baby hat really made me love color work. This could definitely become more of a thing for me. All of these hats are made on US 4 bamboo double pointed needles using Knit Picks Brava worsted in white and tranquil. The yarn is so great for baby knits that you can just throw in the washing machine. I probably won't finish anything else by Sunday but I guess I got a head start on Christmas! Christmas is a scary thought right now. It's right around the corner. I had all these grand ideas of making presents for everyone but obviously that's not going to work out. If I'm vigilant maybe I can bust out some mitts and maybe some candle cozies. Maybe I can sew or embroider something? I better make an idea list. 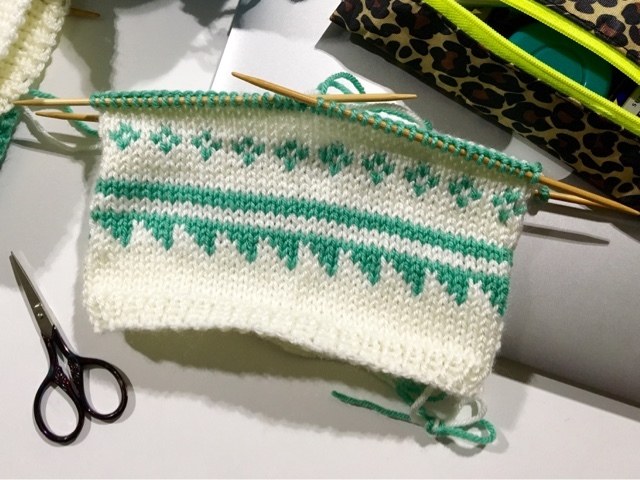 I foresee a fair isle kindle sleeve in the future for myself too. Maybe that'll be on the after Christmas knitting list. By the by, Knit Picks is going to have their annual Cyber Monday sale on Monday, November 16 starting 6 am. I suggest you check it out! Last year I didn't find too much I wanted but the year before that I made out with a huge haul! I look forward to this sale all year. My wishlist is all updated and ready just in case anything on there is on sale. It's always nice to treat yourself to a few Christmas gifts, especially when they are craft related! Happy shopping! !